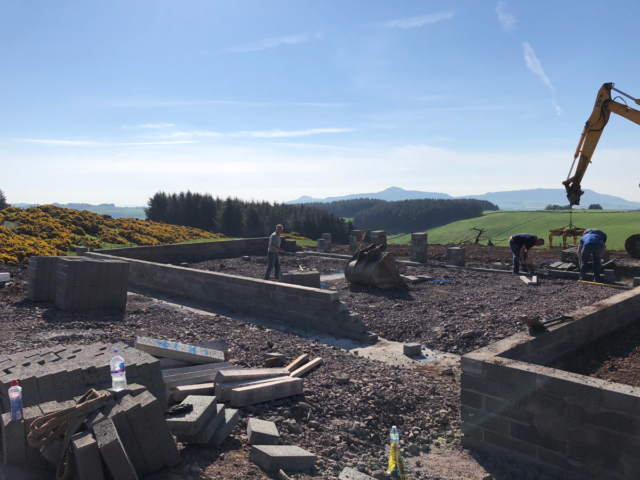 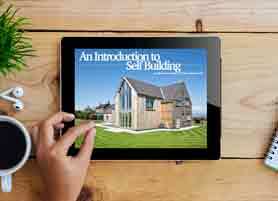 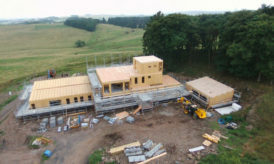 ACA were delighted to assist a self-build couple realise their lifelong dream, of building their own home. 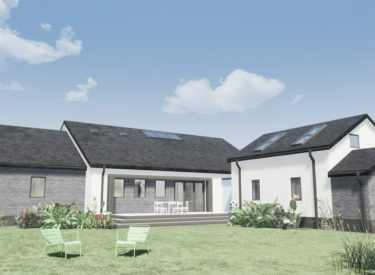 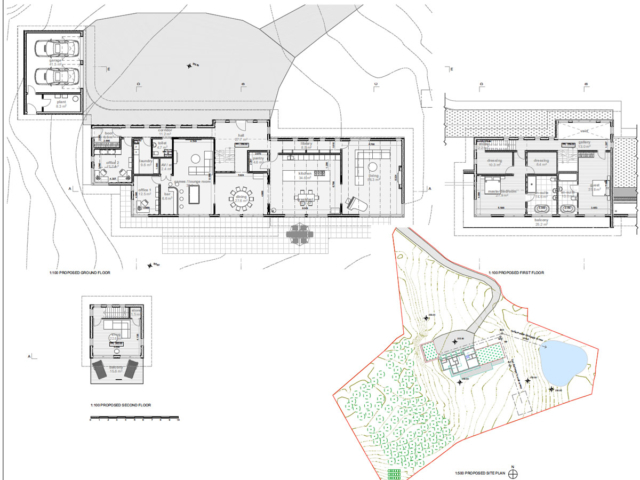 The clients had previously obtained planning approval on the site, with a design which did not fully meet their requirements nor be build-able for their budget. 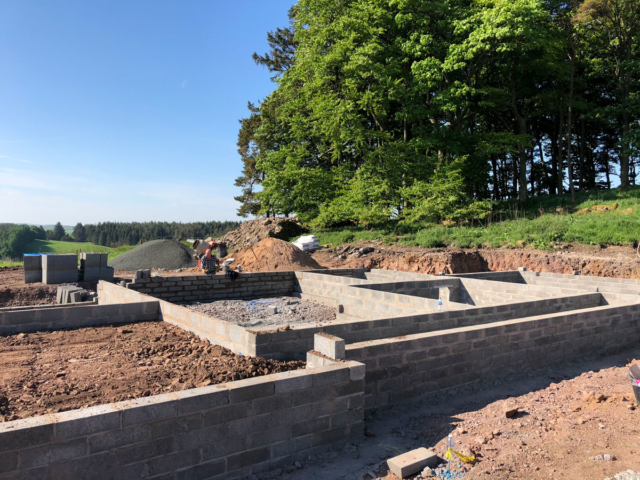 ACA were appointed in early 2017 to come up with new designs for the large rural site, that fitted the clients budget but still created a stunning home. 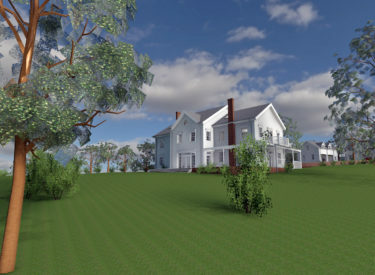 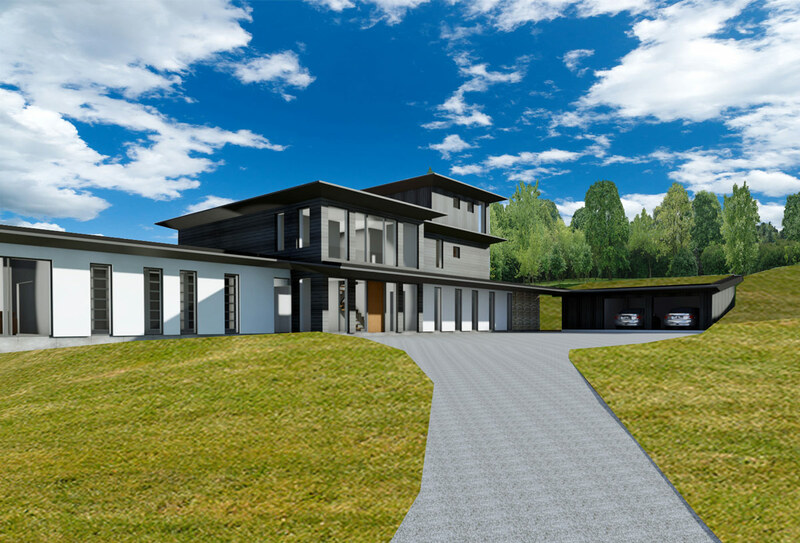 ACA utilised our 3D drawing package to create various design options, for the 3 storey 426sqm family home. 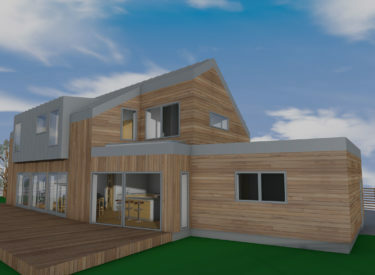 The initial designs created a central 3-storey core element, with split level living areas connecting through the 3-storey core. 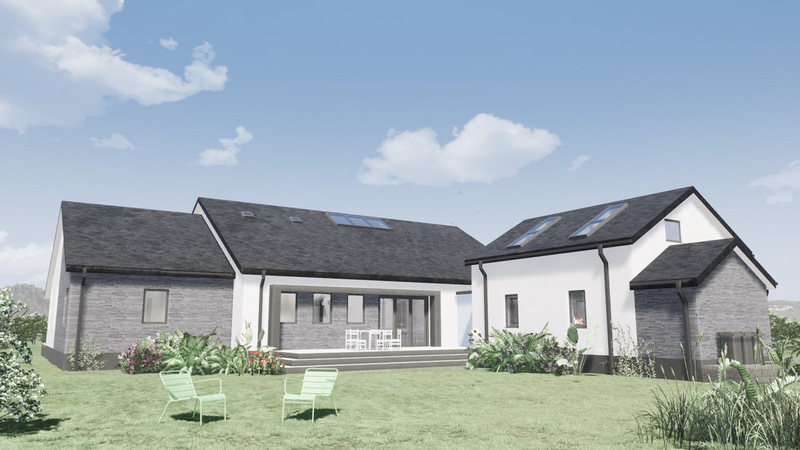 The contemporary approach; featuring charred black timber, grass roofs and large triple-glazed curtain wall sections – was approved by the local planning team in mid-2017 – without any objections. 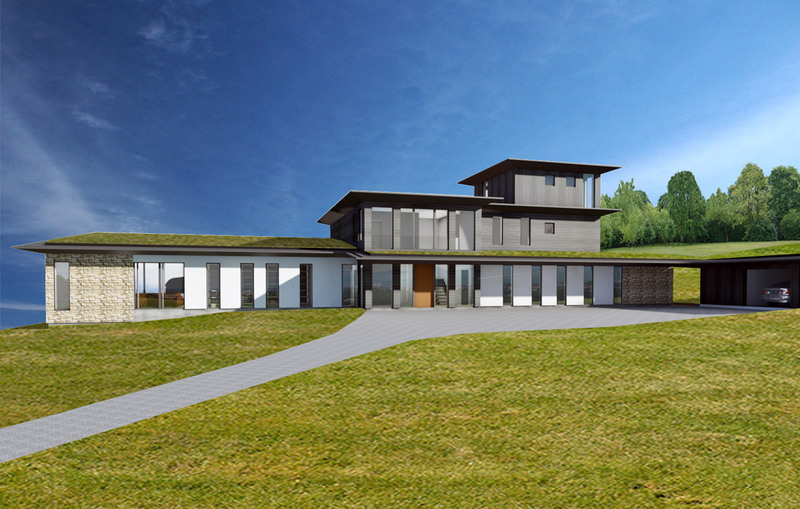 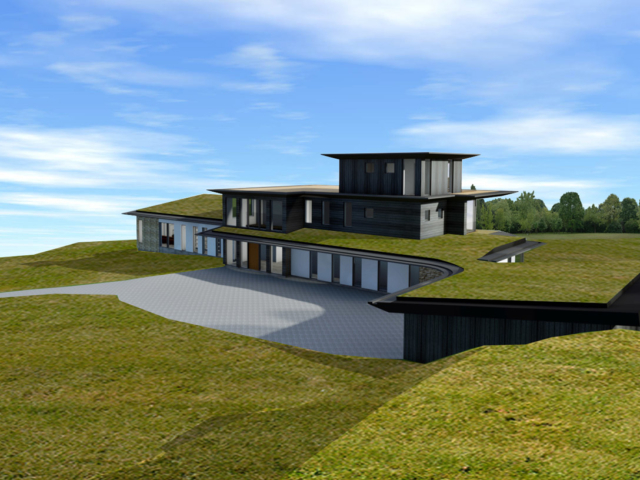 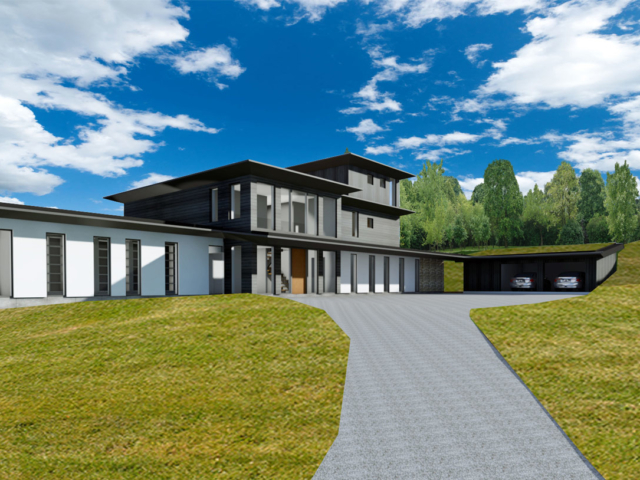 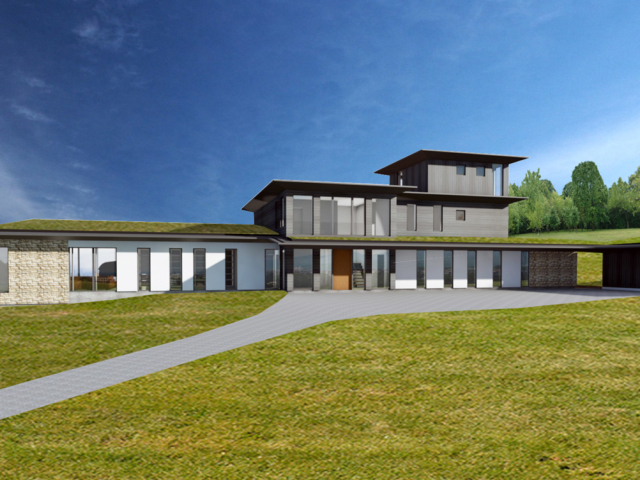 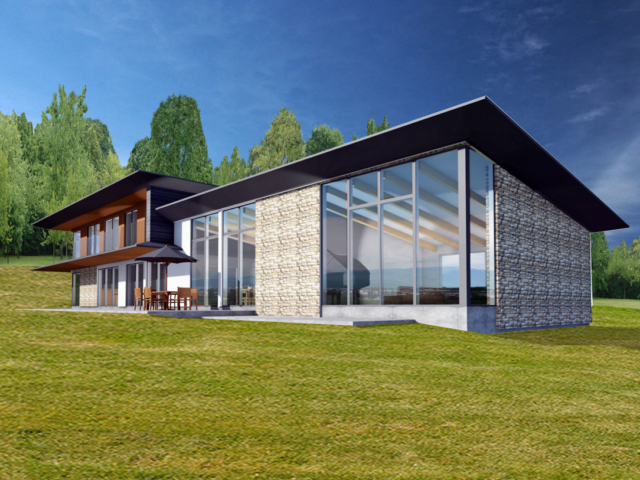 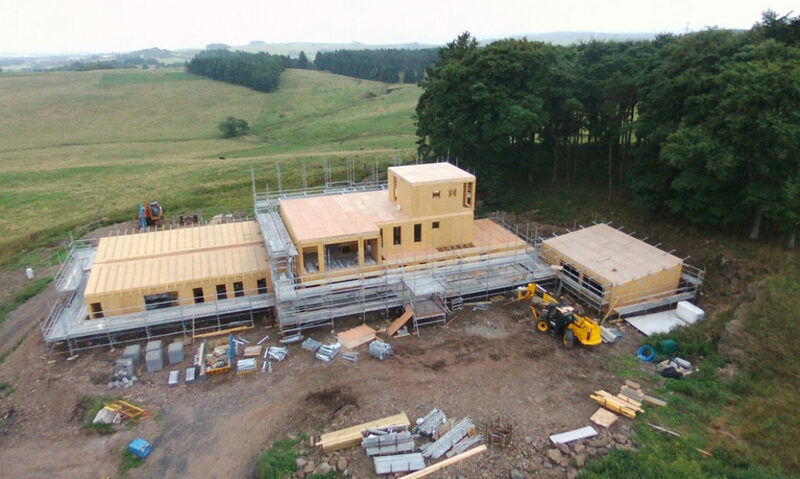 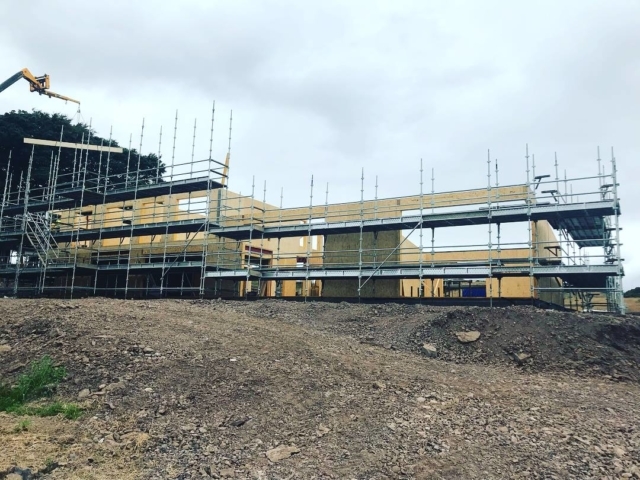 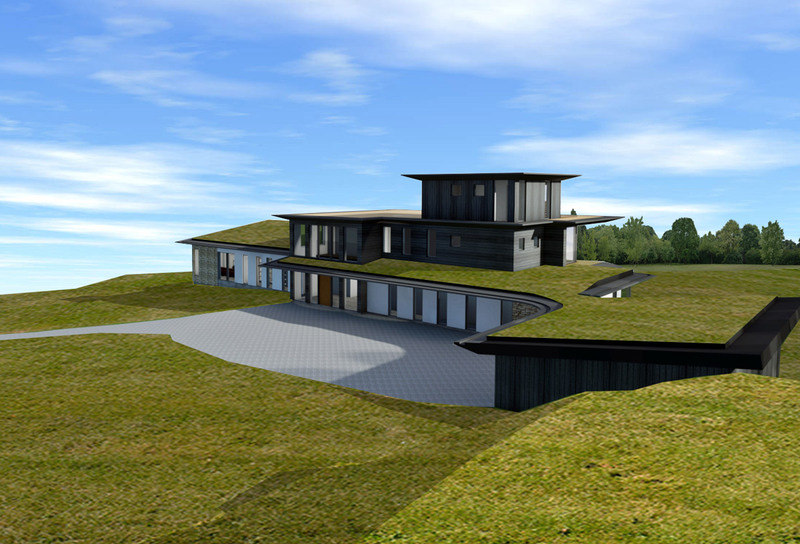 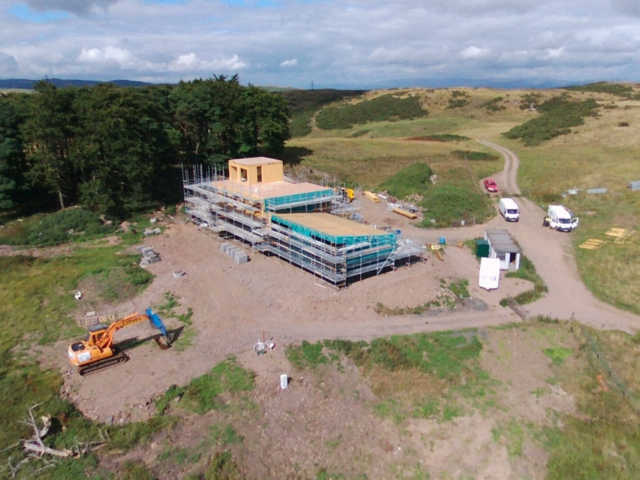 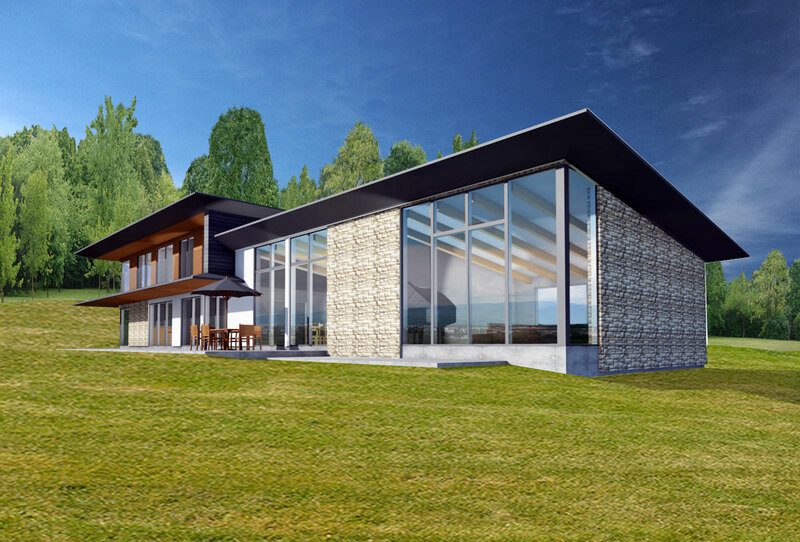 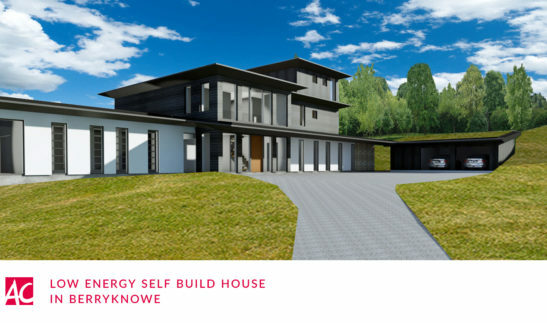 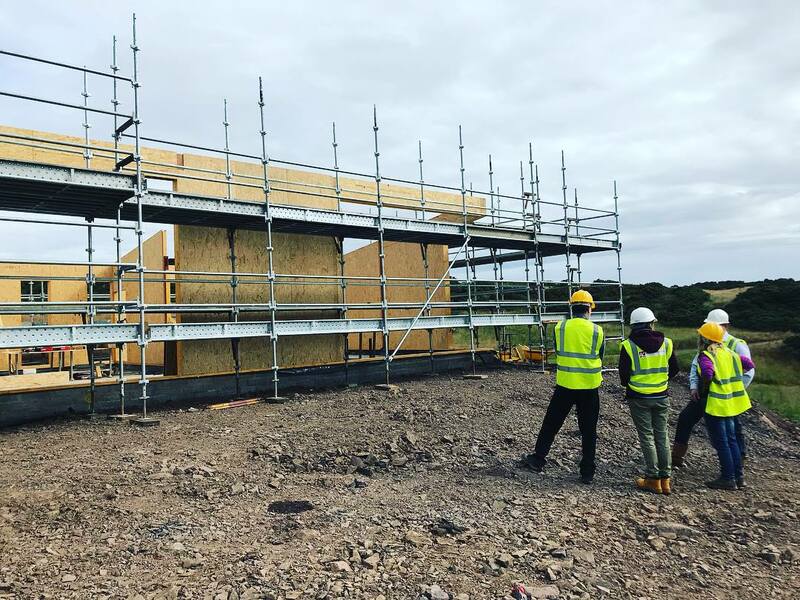 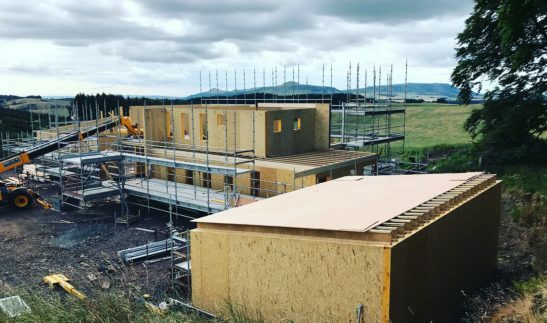 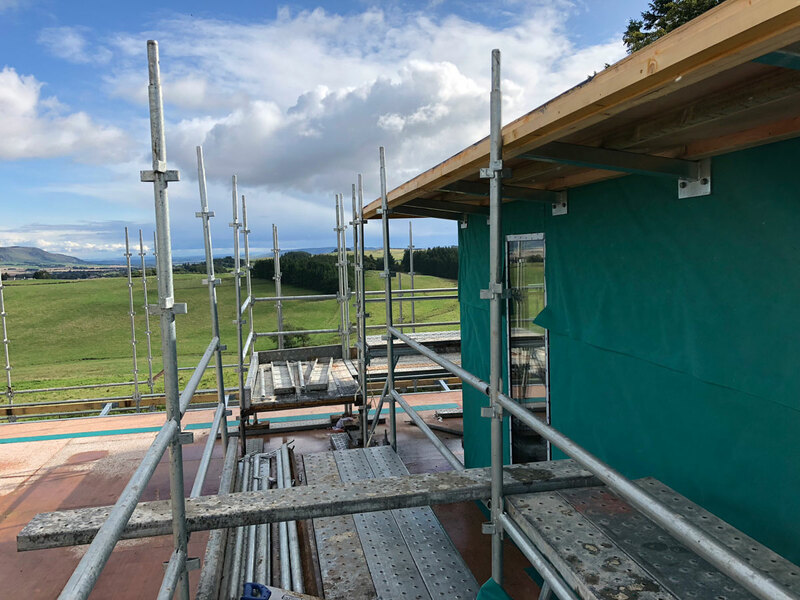 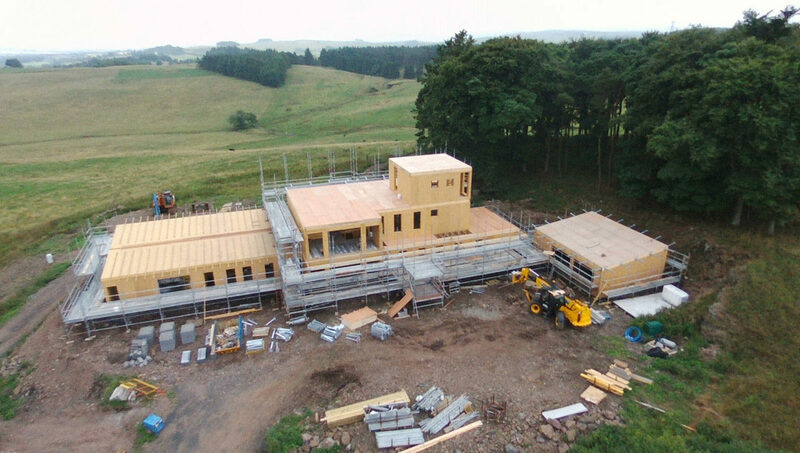 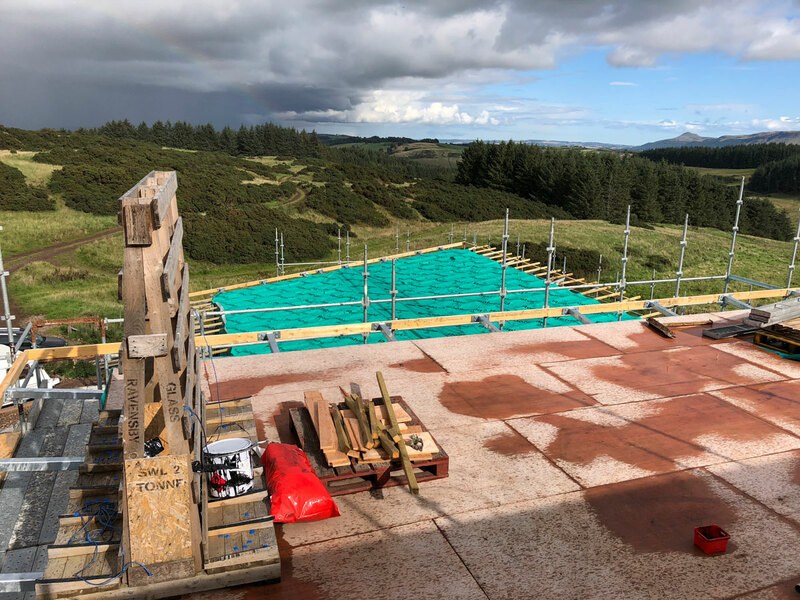 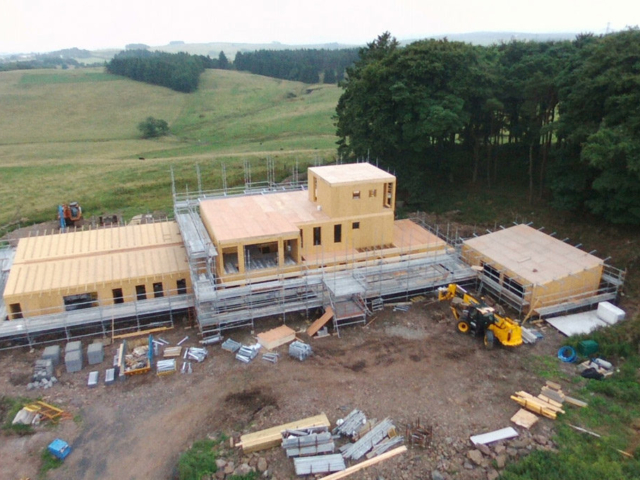 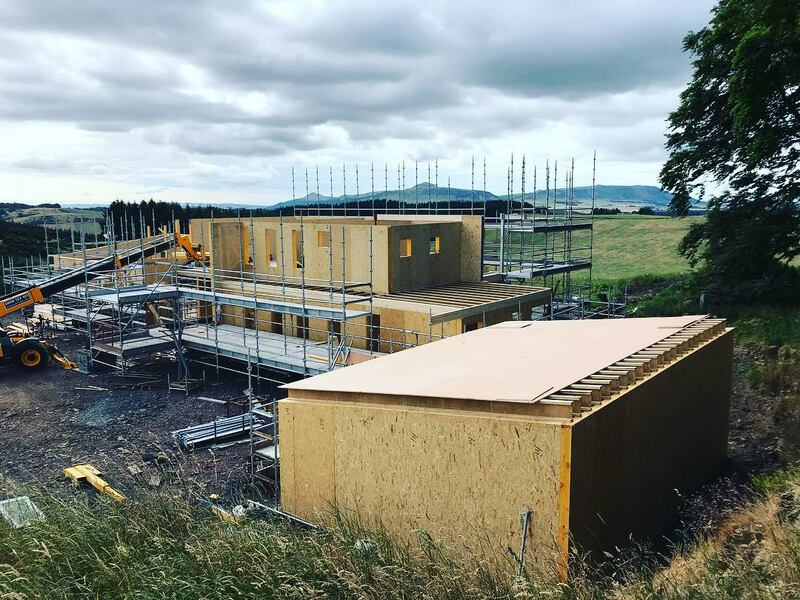 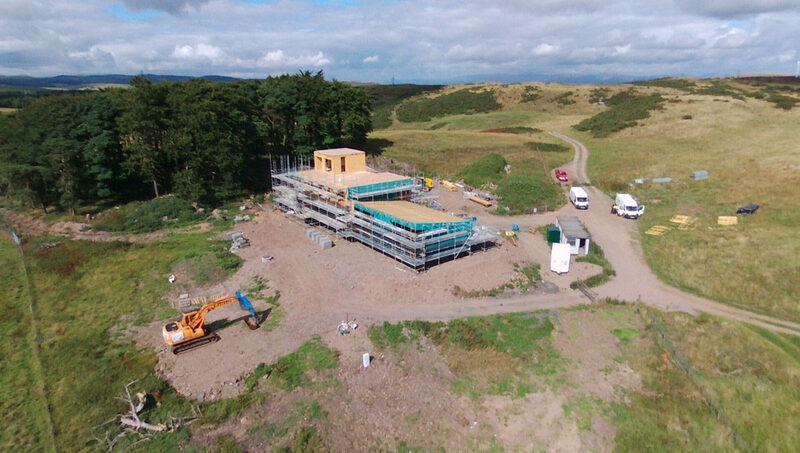 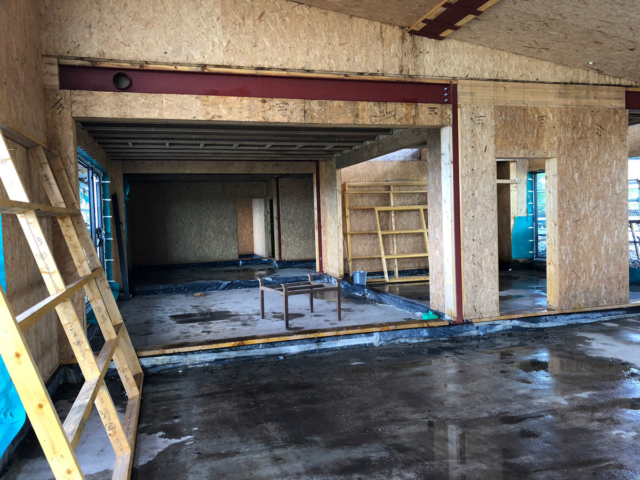 The house is being designed to Passive Standards, utilising SIPS construction, MVHR, solar panels and a battery store, as the clients wish to live off grid. 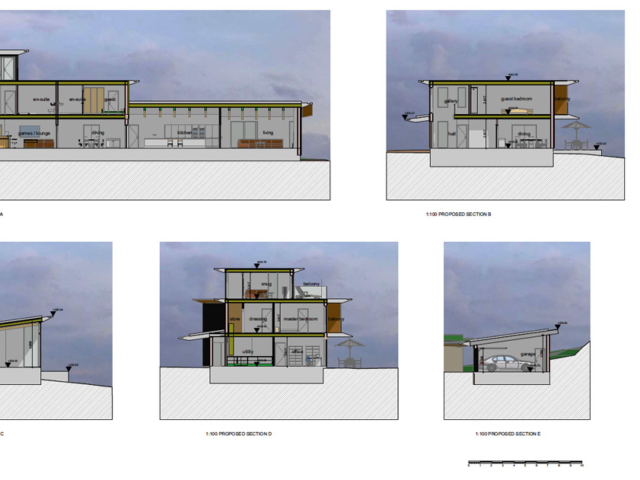 ACA and the client recently visited Germany to pick the high-end Kitchens and Bathrooms. At the end of 2017, the Building Warrant Application was submitted with work planned to start on site in March 2018.